Don’t let your life be defined by a single mistake. Have you been charged with a violation of criminal law in the state of Arizona? Speak immediately with an experienced Phoenix criminal defense lawyer. If you face criminal charges, you may also be facing serious legal consequences – large fines or even a prison sentence – so it’s essential to have an experienced criminal defense lawyer working diligently on your side. The criminal attorneys at At AZ Criminal Defense Group, PLLC are on-call 24 hours a day, seven days a week to answer your questions and provide the legal help you need. While many criminal defense attorneys may ask for a retainer before taking your case, we offer free initial legal consultations in person or by phone with an experienced Arizona criminal lawyer. We ensure that we can always meet our clients for evening and for weekend appointments whenever the need arises or the clients request it. At AZ Criminal Defense Group, PLLC offers discounted fees that meet or beat our competitors’ rates. Calling in a qualified and experienced criminal defense lawyer at the right time could mean the difference between instant freedom and languishing in jail. In fact, most minor criminal cases such as DUI can usually be easily resolved with the right legal defense team, and in some cases you may not even have to spend a single night in jail. We understand that most people do not usually have large amounts of cash on hand if they are arrested on criminal charges, so we try to make that part easier for our clients with practical and affordable payment plans for most types of criminal cases. Almost every attorney in Arizona will try to convince you that he or she is the best, although some have nothing tangible with which to support that claim. However, when it comes to proven and recognized quality. Very few law firms can lay claim to a similar acknowledgement of their dedication to quality and service. When you work with an experienced Phoenix criminal defense attorney at At AZ Criminal Defense Group, you have the assurance that your criminal defense is being handled by an experienced, dedicated criminal defense attorney who’s working hard for the justice you deserve. The criminal attorneys at the Phoenix law firm of At AZ Criminal Defense Group look forward to helping you. Being charged with a crime does not mean that you are guilty. You should not be punished for a crime until a court of law finds you guilty and convicts you. Before and until that happens, you have the same rights as every resident of Arizona and every citizen of the United States. Our legal team is dedicated to making sure that all of your rights are protected and upheld from the moment you are arrested until the final determination of your case. If you or someone you love has been charged with a crime in or near Phoenix, you must retain the services of an experienced Phoenix criminal defense lawyer immediately. 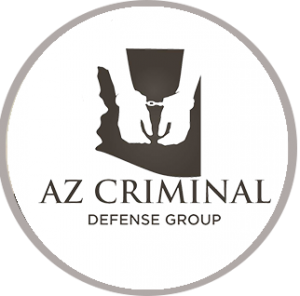 A criminal defense lawyer with At AZ Criminal Defense Group is the defense attorney you need. The law provides that every citizen charged with a crime must have access to adequate legal representation whether they can or cannot afford it. A public defender will probably be too busy to give close personal attention to your case. You also need a criminal defense lawyer who will dedicate his or her time and full attention to your defense and not just treat you as another case number to be handed to the next available associate. At At AZ Criminal Defense Group, PLLC, we give personal and undivided attention to each and every one of our clients. Our attorneys are always on call and ready to help or to give you sound legal advice when the need arises. At the At AZ Criminal Defense Group, PLLC law offices, we understand just how important it is to procure the services of a high-quality defense team within the shortest time possible. This is precisely why we provide free consultations to all new and prospective clients. There are absolutely no obligations, financial or otherwise. A defense lawyer will examine the details of your case and explain your legal rights and options. If you are charged with any crime in the Phoenix area, contact an experienced Phoenix criminal lawyer with At AZ Criminal Defense Group by calling (602) 666-0050 without delay. A criminal law issue can emerge at any moment of the day, so our dedicated criminal defense attorneys are available 24 hours a day, seven days a week. Our Phoenix and Tucson attorneys offer quality legal representation by emphasizing client communication and creative problem solving. You can rest assured that your criminal case is receiving personal attention from an experienced and qualified criminal defense attorney with AZ Criminal Defense Group, PLLC. Understanding criminal law issues can occur at any moment of the day, and our dedicated criminal defense attorneys are available 24 hours a day, 7 days a week. Our Phoenix and Tucson attorneys offer unparalleled representation by emphasizing client communication and creative problem solving. Unlike large criminal defense law firms, you can rest assured your criminal case is receiving personal attention by a qualified criminal attorney, not a legal assistant.